Supersharpy 2 features a new and reliable Osram Sirius HRI 440W lamp, which ensures the extraordinary performances that have made the success of Supersharpy worldwide. Supersharpy 2 light beam is nothing short of three times brighter than the Sharpy, with a far bigger difference than you would expect by simply comparing the rated wattage of the two lamps (440 vs 190). Thanks to this incredible output, the Supersharpy 2’s light reaches never-seen-before mid-air distances, making the it the first low-wattage beam light that can really challenge a searchlight. 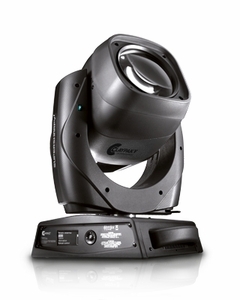 However Clay Paky has not settled for merely producing a “more powerful beam light”. The Supersharpy 2 also provides the utmost in terms of light quality and number of effects.